This Feature Article was written for REVITALIZATION by Eric Polins of HCP Associates. When I moved to Tampa, Florida in 1995 from the northeast, the downtown was very small and literally shut down at 5pm on a Friday night with absolutely nothing to do over the entire weekend. The options at that time were to drive to Clearwater beach during the day and then head over to Ybor City at night. 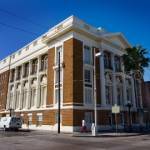 Even though Ybor City is a nationally recognized historic landmark district located just two miles northeast of downtown Tampa, it was predominately known as “Tampa’s Playground” and carried a promiscuous reputation with a rather eclectic mix of old-world charm and goth-type nightclubs. Nonetheless, it was the place to go and party on the weekends until the wee hours of the morning. It’s both sad and ironic that as a young person in my late twenties I didn’t recognize the importance of the history around me and what it would mean to me later in life. In a very real sense, if it wasn’t for the bars, a majority of the old buildings would not have survived; they maintained them and kept them up-to-date. 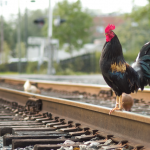 Some of the most well-known things that represent Ybor City include the world famous Cuban sandwich, free-roaming chickens and the home of the oldest restaurant in Florida – The Columbia. As I personally changed gears over the next two decades from journalism to marketing, so did my beloved Ybor City. Like other southern historic districts, Ybor had a set of unique identifiers: brick streets; cigar factories; distinctive five-globe street lamps; wrought-iron balconies; shotgun shacks; and, historic architectures. These all are tied together by a long history of a multicultural neighborhood that stood strong through all kinds of cultural strife over the decades. The district would continue to struggle to find financial custodians during some stormy economic times. Ybor City is only one of two nationally recognized historic landmark districts in Florida that attract visitors from all over the world; St. Augustine is the second. When Ybor City was founded in the 1880s by Vicente Martinez-Ybor and other cigar manufacturers, immigrants—mainly from Cuba, Spain, and Italy—spent the next 50 years building a strong architecture and foundation that would survive everything from hurricanes to harsh economic times. Having lived in the Deep South for more than half my life now, I’ve spent a good amount of time in other historic districts like Savannah, Charleston, New Orleans and others. Each has its own idiosyncrasies and historic markers that rationalize protection and revitalization by their communities. To me, Ybor City had a one-of-a-kind neighborhood that honored all ethnicities with an amazing ‘community glue’ that kept Ybor City alive and flourishing. To this day, several historic social clubs including the Centro Asturiano (Centro Asturiano de Tampa), the Italian Club (L’Unione Italiana), the Cuban Club (El Circulo Cubano) and the Marti Maceo Club (Sociedad La Union Marti-Maceo) are owned and operated by their membership and continue to promote the unique history of Ybor City’s mutual aid societies and diverse cultural heritage. These culturally inspired architectural buildings have been maintained over the century serving today as active clubs and historical museums. Ybor City has a very fascinating history of diversity and inclusion with not only architecture but with people. In 2016, the National Ad Council chose Ybor City’s historic 7th Avenue to film their national public service announcement (PSA) promoting diversity and inclusion that debuted on Independence Day 2016. Producers felt Ybor City offered more authentic building texture and cultural diversity than any other historic neighborhood they scouted. According to Brenda Thrower with the Ybor City Development Corporation (YCDC), a division of the City of Tampa’s Economic & Urban Development Department, the district has undergone significant economic development and investment over the past 20 years while maintaining its historic charm. Influx of new residential, retail, office and other commercial development projects like Bainbridge Ybor City, Ashley Furniture E Commerce Headquarters, Masonite, Zydeco Brew Werks, TransferWise along with new restaurants, offices, retail and a boutique hotel. Courtney Orr, Manager at the YCDC, explained their core mission is to facilitate the development, redevelopment, economic revitalization and general improvement of the Ybor City’s Historic District, covering its two CRAs and the surrounding community. Additionally, the Barrio Latino Commission oversees preserving and maintaining the architectural integrity of Ybor City and its many defining features. The Commission offers detailed design guidelines for those looking to build or renovate in the Ybor City Historic District. The Commission tries to balance the rich history and culture with the present-day growth and demand for future developments. This has been a very similar process to Charleston’s Historic District; buildings in Charleston must be no taller than the tallest church steeple, which is Saint Matthew’s Lutheran Church. 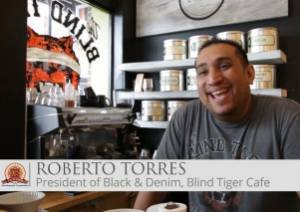 As the agency of record for the YCDC, we interviewed about a dozen or so people in Ybor City for an online video series we produced for the organization’s website and social media channels. One particularly interesting individual was homebuilder, Ariel Quintela. Coincidentally, Quintela also works with one of Ybor City’s largest landowners, Darryl Shaw. Ybor City. They’ve bought vacant lots and single-family homes, but also offices, small stores and restaurants, warehouses, industrial properties, a historic inn, an old cigar factory, bars, a closed spa and church-owned land. The parcels span the historic Latin district, from Nuccio Parkway to the Crosstown Connector. The growing empire has given Shaw and a handful of business partners an outsized stake in the fate of one of Tampa’s oldest neighborhoods, one experiencing a revitalization that includes a rush of new residents, a booming small business and arts scene and, some hope, a potential home for something really amazing, a new ballpark for the Tampa Bay Rays baseball team. But first, we need to talk about why this is such a unique and historic addition to Ybor City. Ybor City has an extremely unique and long history of baseball; besides the 14-plus available acres needed for the footprint of a new ballpark for the Tampa Bay Rays, this was another value-added benefit to continue the tradition of America’s favorite pastime. Ybor City is home to the Tampa Baseball Museum at the Al Lopez House. More than 125 years of history and a lineup of local legends are coming together, like a perfect season, to celebrate the sport of baseball and those who played it. The restored home encompasses the celebration, preservation, and education of the local Ybor City baseball culture – from Little League to Major League, and everything in between, including: Factory, Inter-Social, Municipal, Cigar City and various ethnic leagues. In this house, there’s a carefully preserved legacy. It’s a story of hope and triumph marked by original artifacts, proudly displayed for all to see. It is the actual childhood home of Al Lopez, Tampa’s first baseball player to make it to the major leagues and be inducted into the baseball Hall of Fame. 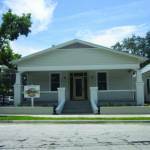 This delicate structure has been carefully preserved, the entire house, moved within Ybor City from its originally location to its current location on 19th Street. The home is being lovingly restored and will be put on display for all to enjoy because of the extraordinary efforts of some of the area’s finest leaders and volunteers, city and county grants, and the generous donations of too many to name. It’s teamwork like this that would have made Al Lopez smile. 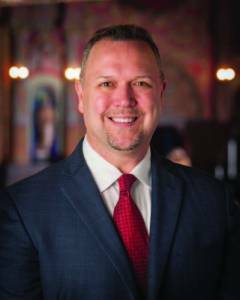 Shaw says his vision for Ybor City — residential with some commercial — aligns with this rapid transformation while also maintaining the character of a historic district and its strict guidelines for renovation and building. 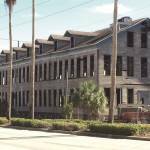 One of last wooden cigar factories in Ybor City will be reopening soon as the Angel Oliva Sr. Apartments. Developers have been hard at work converting the historic old Oliva Cigar building at 2008 N. 19th St. into 38 loft-style apartments. “Just the finishing touches now,” said Ariel Quintela, who along with business partner Darryl Shaw is the developer. After more than three years of construction, the 32,000-square-foot, threestory structure built in the late-1800s at what is now Palm Avenue and 19th Street will soon open as the Angel Oliva Sr. Apartments. Some examples of the restoration include: Moldings and shutters on all 167 windows are original, as are 40 percent of the exterior sidings. The original front door, once tossed in the trash as unsalvageable by a construction crew, was retrieved and restored. The first floor’s interior stairway balusters date to the factory’s opening and the rest are exact replicas. The entire structure has hardwood floors, but not enough of the original boards remained intact. Along with using what remained, the developers purchased wooden flooring that’s just as old, from a torn down, 130-year-old building in Tennessee. Even the new baseboards were designed to replicate the originals. “Doing this work, I pinch myself because how many people can actually be taking a building that’s over 100 years old and having the wherewithal to be able to do it correctly. And not cutting corners, looking for the best materials you can, finding the best architects, and that’s a builder’s dream. And so, if I could boil it down to just one item, it’s just the fact that I’m allowed to be doing what I’m doing,” Quintela said. When people think of southern historic towns in the U.S. with rich history and trendy districts peppered with art galleries, cafes, restaurants, shopping and protected architecture, one might think about New Orleans, Savanah, Austin or Charleston; however, Tampa’s Ybor City has retained their authentic community while being surrounded by a three-billion-dollar renovation plan. 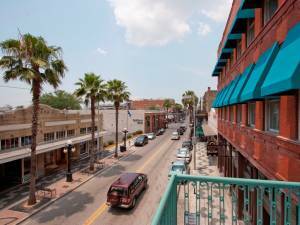 The exciting traditions of Ybor City continue to attract millions of visitors to the national historic landmark district each year. 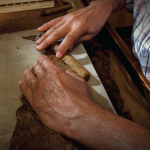 Handrolled cigars, international cuisine and truly unique special events – it’s all here in Ybor City. 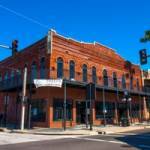 Recent historic building preservation and façade improvement initiatives are helping to ensure that the area’s unique architectural character remains alive and well, and new business ventures are helping to grow the local economy. 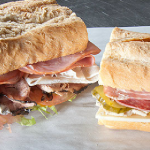 Whether its food, fun, or business opportunities, Ybor City has something adventurous to suit every style and flavor. 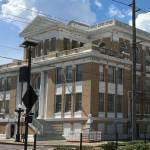 The amazing thing about Ybor City is that it has the resources available that support the people with the idea. Everybody’s kind of rooting for each other. Everybody understands that they must work with each other. That’s one of the things this community in Tampa doesn’t have to envy from any other community. Today, Ybor City sees locals who actually live and work in the district and businesses see regulars that live as far as 45 minutes away and still visit every day. 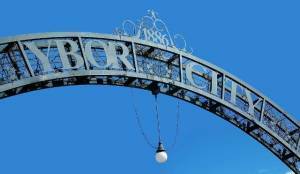 Along with its proximity to downtown, Tampa Heights and Seminole Heights, people love coming to Ybor City. 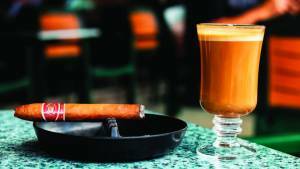 As I sit at King Corona Cigar Bar and Café on the infamous 7th Avenue, designated one of the American Planning Association‘s Great Streets in America for its history, while enjoying my café con leche and a Romeo y Julieta 1875 cigar, I reminisce the past 20 years of my life here. I feel a deep connection to the history, architecture, people and the diversity around me. 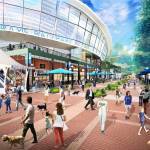 It’s an exciting time for all Tampanians and visitors alike, knowing that nearby Water Street is beginning a three-billion-dollar transformation, and just a few blocks away, the nearly a billiondollar Tampa Bay Rays ballpark may rise. 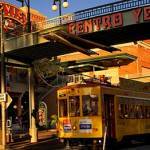 Ybor City will always be Tampa’s historic neighborhood rich in architectural design and cultural diversity. There’s an unspoken inclusion everyone feels when strolling down the brick streets, taking in the smells and sounds of a delightful old-world neighborhood. And, you just know and trust that no matter what large scale modern developments surround this Tampa gem, nothing will touch the magic that sits inside this revitalized historic district. Eric Polins is the Managing Partner at Tampa-based HCP Associates, a 32-year-old research-based marketing firm. HCP Associates provides a critical, unbiased, third-party perspective to historical organizations and districts, using qualitative and quantitative research to justify both revitalization strategies and redevelopment plans. Polins has 25 years of marketing and advertising experience with an emphasis on creative direction, writing, broadcast production and technology. As an alumnus of The Pennsylvania State University, he received a BA in Broadcast Journalism. He is also a former U.S. Marine. Polins is an experienced filmmaker, professional artist and recently a patent-awarded inventor. He has written and directed 100+ commercials, films and videos with awards ranging from Tellys to Addys. Outside of his work at HCP, Polins enjoys painting, filmmaking and traveling. He shares his free time with his wife Maria, two sons, Zane and Lacher, and a rescued Boerboel named Jasper in their South Tampa home. Click here to see the full printed publication. Read the full story on Revitalization.